Join Stacy Jones, the CEO and founder of Los Angeles entertainment agency Hollywood Branded on this podcast. Learn from her 20 years of experience as she shares top notched advice on the best marketing practices for brands. She will also walk you through how to leverage entertainment content and influencer partnerships to increase your brand’s overall consumer engagement and most importantly, your sales. 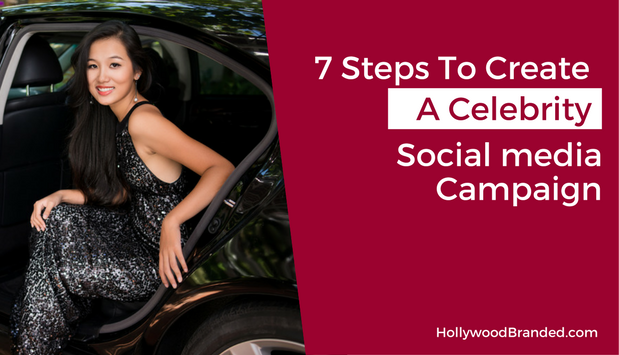 In this Marketing Mistakes podcast episode, Hollywood Branded's CEO, Stacy Jones discusses seven steps of how to partner with celebrity brand ambassadors using their social media platforms to bring more awareness to your brand - and shares an infographic for easy reference. Join Stacy Jones on this podcast, the CEO and founder of Los Angeles entertainment agency Hollywood Branded. Learn from her 20+ years of experience as she shares top notched advice on marketing best practices for brands and walks you through how to leverage entertainment content and influencer partnerships to increase your brand’s overall consumer engagement and most importantly, your sales. 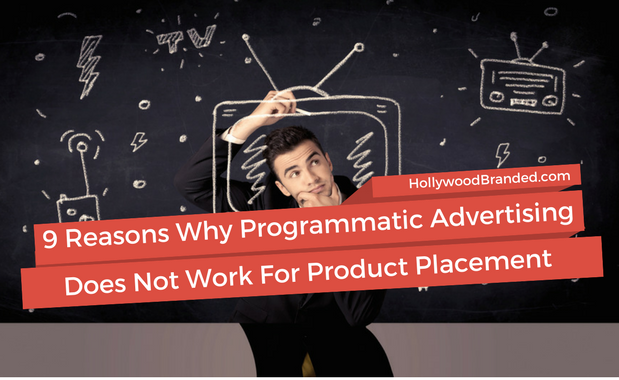 In this Marketing Mistakes podcast episode, Hollywood Branded's CEO Stacy Jones discusses 9 downsides of programmatic advertising and media buying for product placement, and why it just doesn't work. Seeing a brand in your favorite television show in an organic product placement is proven to affect buyer's decisions and opinions of that brand. In fact, 51% of consumers admit to purchasing product after seeing it in a TV show or movie. That's a tremendous number of people who are influenced to purchase not through traditional advertising - but through the brand being embedded in their favored content. However, if the brand that is featured just leaves all the work to the subliminal messaging power of product placement, they are missing out on massive untapped potential to increase sales. 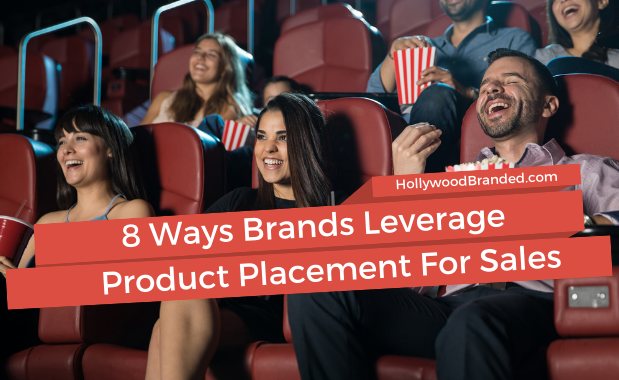 In this blog, Hollywood Branded takes a look at 8 ways brands share product placement exposure and provides case study examples on some of our clients' most successful repurposing of their product placements. When investing in a celebrity endorser as part of the marketing plan, it is essential that the brand not only optimize the opportunity with a detailed plan in place prior to activation, but also have the forethought to safeguard against potential blunders that could occur. Because let's face it... things go wrong, and if you don't have a plan on how to keep them from doing so, you are making your job a lot harder. Celebrities don't partner with brands with the intent to have things purposely go wrong, but we've found there are little mis-steps along the way that get overlooked, and make a mess of communication and ultimate success. 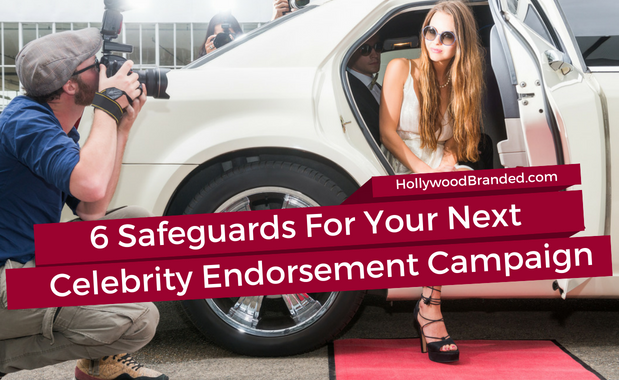 In this blog, Hollywood Branded shares 6 important steps to take to safeguard your celebrity endorsement.